Stethoscope allergies are caused by a response by the body’s immune system to certain elements within the stethoscope. 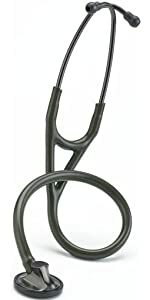 Usually an allergy to stethoscopes is caused by the fact that the patient has an acute latex-allergy. Latex, or rubber, is commonly used in the tubing of the stethoscope. It can also appear in the chestpiece. As a result contact with the patient’s body is almost inevitable. In general though stethoscope allergies can be divided into two sub-cases. 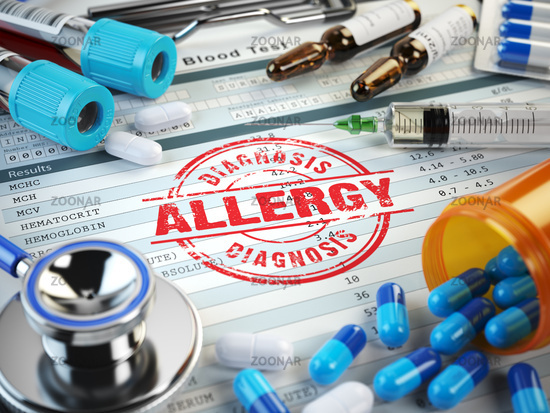 Allergies due to latex- or rubber allergy and allergy to metal. If you happen to have bad luck and are allergic to latex, while at the same time you were checked out with a stethoscope that featured latex, chances are you developed an allergic reaction. This allergic reaction is also called “Contact Dermatitis“. Any medical term that ends in “-itis” tends to mean inflammation. You don’t need me to tell you how inflamed the affected body parts will look. Simply judge for yourself by the pictures below. The picture on the left shows the result of what is called “a scratch test” or “patch test”. This is a common way to find out if you are allergic for a substance. During this test the doctor, probably a dermatologist, applies a variety of allergic agents in small doses to your skin. However he or she keeps track of which agent goes where for future reference. As time goes by, usually a couple of hours, any reactions you may have will become clear. 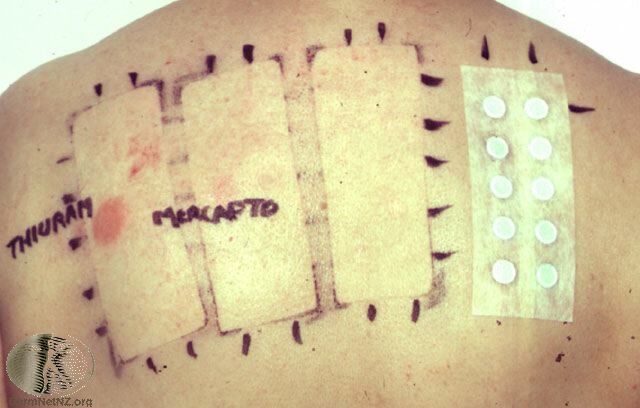 Due to the fact that the doctor has marked which substance he or she put where it’s easy to see what you are allergic to. What we see in the test is that this particular patient in the upper-left picture has a positive reaction to Thiuram. Stethoscope allergies caused by rubber usually have 2 main causes. Either people are allergic to the natural saps in latex-rubber. Or then they are allergic to the rubber-accelerators that are commonly added to rubber. Thiuram is one such accelerator. On the picture in the right we see a man who has an allergic reaction on his upper thigh. Most likely this has been caused by the elastic band in his underwear. Rubber accelerators are chemicals used to speed up the manufacturing process of rubber (vulcanization). This process makes untreated natural rubber latex suitable for use in the manufacture of many rubber products. Unfortunately most rubber or latex products include rubber accelerators. They range from clothing and outdoor equipment to cosmetic and…you guessed it… healthcare equipment. Rash occurs mainly on the eyelids where rubber cosmetic sponges have been used. There’s a chance you develop a rash around the mouth or any site of the body where the dentist or doctor’s hands have touched the skin. If you weren’t allergic to rubber before it is highly possible you got allergic due to chronic exposure. Usually people who work in the medical field develop rubber allergies over a certain course of time. It is a little ironic that rubber allergy develops in this way when you are trying to protect yourself from other allergens using special protective wear. Of course ideally you would want to avoid any contact with latex if you have a latex allergy. However that is not always in your control and accidents unfortunately do happen. As a result it is important to be aware of the possible treatments if you develop dermatitis. A home-made solution could be to treat the affected are with diluted vinegar. However a far better solution is to go see a dermatologist. They will subscribe you some topical corticosteroids. A short course of these will speed up the healing dramatically. This in combination with antihistamines should have you up and running in no-time! Although copper is quite abundant nowadays, people do still develop contact dermatitis after contact with copper or copper alloys. The allergic reactions that occur are similar to the ones that manifest itself in people with a latex allergy. The immune system overreacts to a substance that the body mistakenly perceives as harmful. White blood cells produce antibodies, which enter the bloodstream and attach to cells. This prompts the release of histamines that cause allergic symptoms such as skin rash, diarrhea, nausea, muscle pain, fatigue and hair loss. As a result stethoscopes that have copper or copper alloys in them should be avoided in an effort to decrease any possible allergic reactions in your patients. Another common culprit of contact dermatitis is nickel. The same guidelines for the above mentioned allergens apply to nickel. Avoid at all cost for the sake of your patients and yourself. However should one of your patients develop contact dermatitis, then a round of topical corticosteriods combined with antihistamines should do the trick! Obviously to reduce the chance of an stethoscope allergies you need to avoid the allergenic agent completely. Below is a quick overview of stethoscopes that do not feature any allergenic agent discussed above. 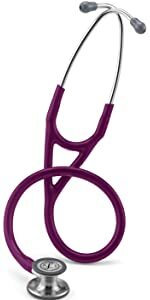 Littmann stethoscopes have become the standard stethoscope in the country. This is due to their superious acoustics as well as their use on non-allergenic materials. None of the Littmann stethoscopes have any latex components or phtalate plasticizers in the tubing. 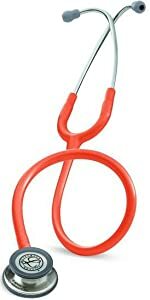 As a result you can be safe these stethoscopes will not cause any allergic reactions in your patients. Below is a table in which the most common stethoscope models are ranked next to each other. The links will take you to Amazon where you can study them further. 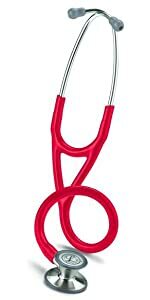 Previous Article← Stethoscope: what is it and how is it used? It’s interesting that there are so many different kinds of allergies. I had no idea that people could even be allergic to rubber! Maybe it would be a good idea to see a doctor to make sure my kids don’t have any allergies that we don’t know about yet.